Microsoft’s claim that 2015 is the “greatest games lineup in Xbox history” is wrong. Trying to make up for an awful year in Xbox One console sales and spitting out indie games like they are new releases is not the Microsoft that I know and love. In my opinion, 2007 remains the “greatest game lineup in Xbox history.” I feel that 2007 was also the year that Microsoft’s Xbox surpassed Sony’s PlayStation in sales and services (i.e. Xbox Live). Microsoft had finally hit its stride in the console market and the Xbox 360 was the king of the console castle. Unfortunately, Microsoft’s inflated Xbox 360 ego wouldn’t last long. I didn’t start out as a Microsoft fan in the beginning. I jumped from console to console, never claiming allegiance to any particular console until I found Xbox. I started off with the NES, progressed to the Genesis, and then went off on a spiritual console quest that went like this: TurboGrafx 16, PS1, PS2, Xbox, Sega Dreamcast, Nintendo Gamecube, Xbox 360, and Xbox One. At times, I owned multiple consoles. I wanted to play certain games, and these certain games were usually PlayStation or Nintendo exclusives; I loved Gran Turismo and I loved playing Super Smash Brothers at my convenience. My first Xbox love started with Halo: Combat Evolved. I played Halo for days on end. I was first introduced to it at a friend’s house sometime in 2001. I never played Halo that day, but watching someone else play the game convinced me enough to drop $200 on a game console (plus game) to play Halo that very night. After breaking up with my PS2, I entered into an exclusive relationship with Xbox and eventually; all things Microsoft. The only other console I stayed with through the years was the Sega Dreamcast, which was, in my opinion, better than the original Xbox and PS2 in so many ways. Once I was deeply rooted in the Xbox world, I became enthralled with all Xbox games that were available; Ninja Gaiden and Panzer Dragoon Orta were among my favorites. Now, I am firmly committed to the Xbox One. However, all the hype surrounding Microsoft’s claim that 2015 is the “greatest game lineup in Xbox history,” doesn’t sit well with me. I feel like 2015 was instead the most hyped Xbox game lineup in history. One of the games in the Xbox game arsenal, Halo 5 Guardians, is a great game, but I felt overwhelmed with the amount of promotion Microsoft invested in Halo 5. I understand that Halo 5 is an Xbox exclusive, but so was Forza Motorsport 6 and I haven’t heard much more about it after it was released. I felt as if Halo 5 Guardians was the only reason for Microsoft’s “greatest game lineup in Xbox history” claim. Out of this list, there are only five Xbox exclusive titles for 2015; Forza Motorsport 6, Halo 5 Guardians, Rise of the Tomb Raider, Rare Replay, and Gears of War Ultimate Edition. Only really four Xbox exclusives as Rise of the Tomb Raider is a timed-release and will be available on the PS4 sometime in 2016. Of the four, Rare Replay and Gears of War Ultimate Edition are just Xbox One updates to Xbox 360 games, leaving only two Xbox exclusive titles for 2015; Forza Motorsport 6 and Halo 5 Guardians. For 2007, there were seven Xbox exclusive game titles; Halo 3, Forza Motorsport 2, Mass Effect, Stranglehold, Project Gotham Racing 4, Crackdown, and Bioshock. Of the seven, Bioshock was the only timed-exclusive and the other six were solid Xbox exclusive offerings; Halo 3, Mass Effect, and Crackdown being my three favorites. If there were any great game lineups in Xbox history, 2007 was it; 2015 doesn’t even come close. 2015 does have other games that are phenomenal, but they just not Xbox exclusives. Metal Gear Solid V The Phantom Pain is one that I think doesn’t get much credit, but I do enjoy playing it and I should have MGS V 100% completed by time Fallout 4 is released on November 10. You might be wondering why I am not playing Halo 5 nonstop, but the truth is I am not in a rush to play it. I gave up on the Halo series after Halo 3 because I felt like the Halo story ended. I could delve deeper into my Halo pathos, but that is a post for another time. For me, 2007 will remain the greatest game lineup in Xbox history. It is likely 2015’s game lineup will be forgotten by an even bigger and better year to come. Will it be 2016? 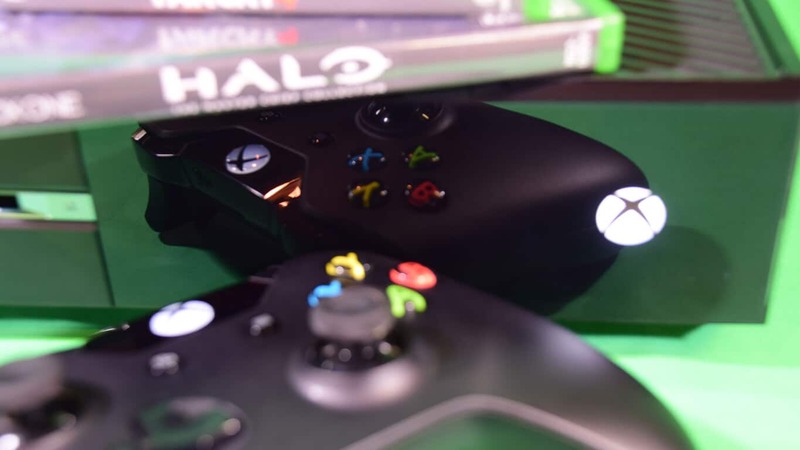 Xbox’s Aaron Greenberg says there’s more in store for Xbox One in 2016. Maybe it’ll be 2017? At this point, no one knows. I think 2015 has great games available for Xbox One and other consoles, but when Microsoft is saying that 2015 is the “greatest game lineup in Xbox history,” they might want to check themselves or they might wreck themselves. I understand the differences in my list; it is likely I forgot to include some games. Ultimately, I am comparing Xbox 360 games to Xbox One games and an eight-year difference. A lot has changed since then, but take the time and look past the graphics and the console differences and take a good look at the games. Is 2015 really the best games lineup in Xbox history? I don’t think so. Instead, I feel like 2015 was the most hyped Xbox game lineup in history. Don’t get me wrong, Microsoft has done amazing things with Xbox, but using that particular phrase isn’t accurate in my opinion. What do you think? Do you feel 2015 had the best games lineup in Xbox history or do you feel it was more hype than anything? Which year do you think had the greatest games lineup in Xbox history?